The Friends' Book Sale was born with two goals in mind: to monetize books being discharged by the Library so as to provide extra funding for projects, materials and programs, and to provide the citizens of Oradell a cheap source of books in good condition that could amuse and / or instruct. To augment the quantity and variety of books offered, we invite the public year-round to contribute books in good condition. The Library provides us an area where we can store contributions and hold books for discharge. We are lucky that the library also can provide us with a designated area with shelves where we can display our materials. To facilitate buyer selection, we organized our offerings by the following categories: novels, history, philosophy / religion, Women, children / young adults, table books, art / music, health, sports, science, Sci-fi, literature, animals, cooking, romance, paperbacks, DVDs, books on tapes, the rearing of children... The date the book is placed on the shelf is lightly notated in pencil on the last page of the book to facilitate rotation. Regularly, shelves are made orderly and books returned to their proper category area. There are pricing charts hung in several locations to inform the buyer. Patrons are directed to pay at the main library desk. 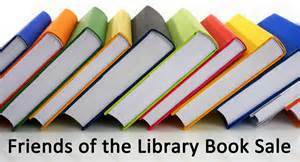 Librarians have been informed of pricing and have a pricing list available at the desk. Again, all money raised is spent to help the library directly. We have offered limited outdoor book sale during the Oradell Family Day Celebration.